Caroline is a chemical legislation expert, with a postgraduate certificate in REACH management, with years of experience of interpreting and implementing EU legislation relating to hazardous chemical substances, covering both supply and transport legislation. This experience has been developed whilst working directly in the chemical industry and through consultancy projects. 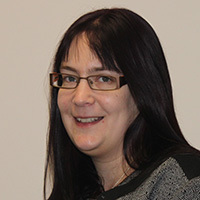 She is a founder member and the current Chairman of the British Association of Dangerous Goods Professionals (BADGP), and is a council member of the Chemical Hazard Communication Society (CHCS) and has worked closely with trade associations, including the British Association of Adhesives (BASA) and the British Coatings Federation (BCF). The regulations for poison centre notification within Europe for organisations putting hazardous mixtures on the market are complex and difficult to achieve, in particular, for organisations who provide products for consumer or professional use like those within the adhesives and sealants markets. These regulations are made more complicated due to the harmonisation effort, which affects notifications from 2020 but does not excuse organisations from notifying their products today, which is currently a legislative requirement. This session will review the regulations now, and in the future, what organizations should do, and the current cost of non-compliance (using examples of enforcement across various member states). We will also outline the best process to follow to develop a strategic ‘battle plan’ to complete notifications, taking into account risk of enforcement, cost of notification, implications on Intellectual Property, etc.